On the 5th Day... God created every creature that fills the sea, blessing them to be ABUNDANT. That is what we believe on the charter boat 5th Day. Rodeo fish, in abundance! Capt. 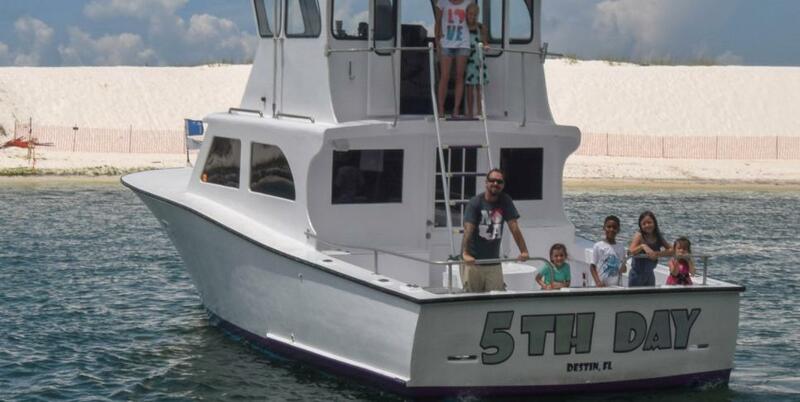 Brandy Miles is Destin's only lady charter boat captain which sets this 40' vessel apart from the rest. We are licensed to carry up to 6 passengers and specialize in half day (4-8 hrs) trips. Our trips are perfect for families with children, first time fisherman, as well as the experienced angler. 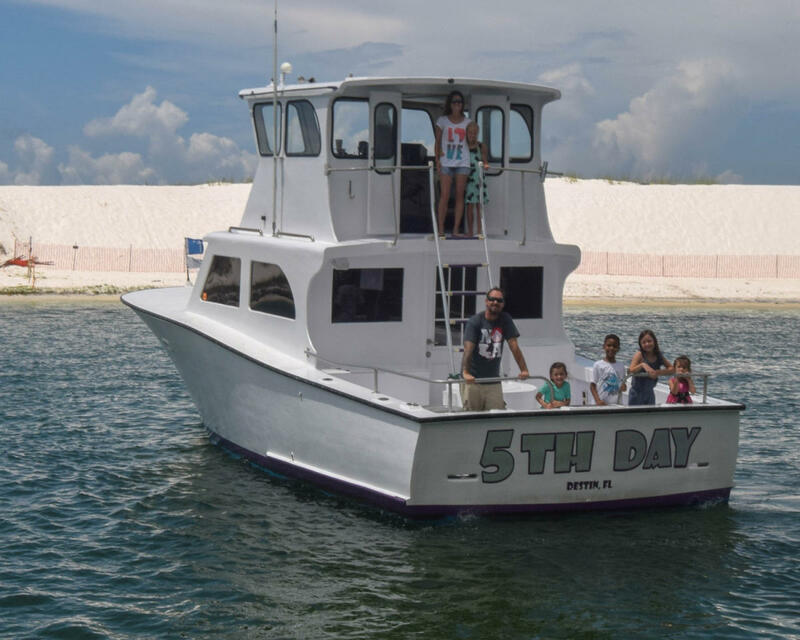 Our crew embraces every sea dwelling species ensuring that your family will enjoy a full "5th Day" experience.